← Cleveland, Ohio. March 23rd, 2011. 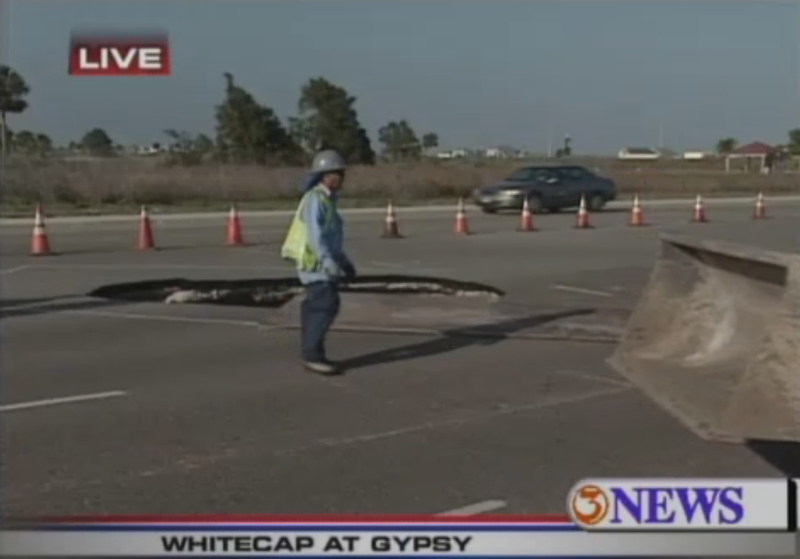 A sizeable sinkhole near the corner of Gypsy and Whitecap Boulevard. The hole looks to be about 12 feet around. 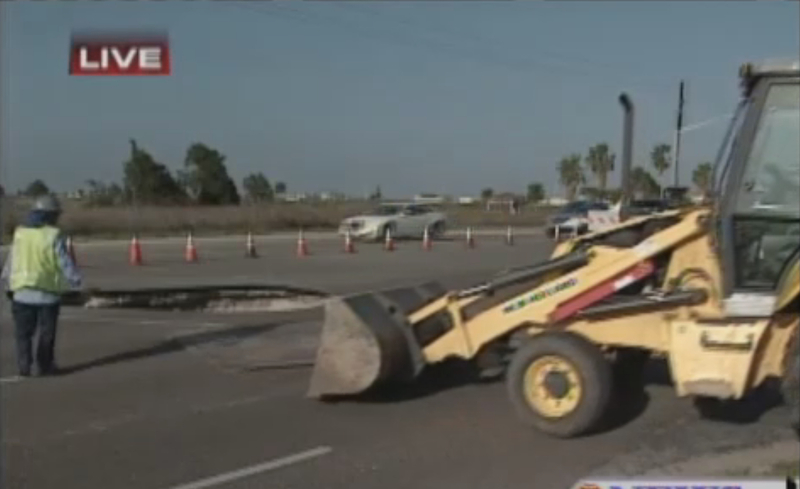 Right now, crews with the city street department, along with CCPD are blocking the intersection. 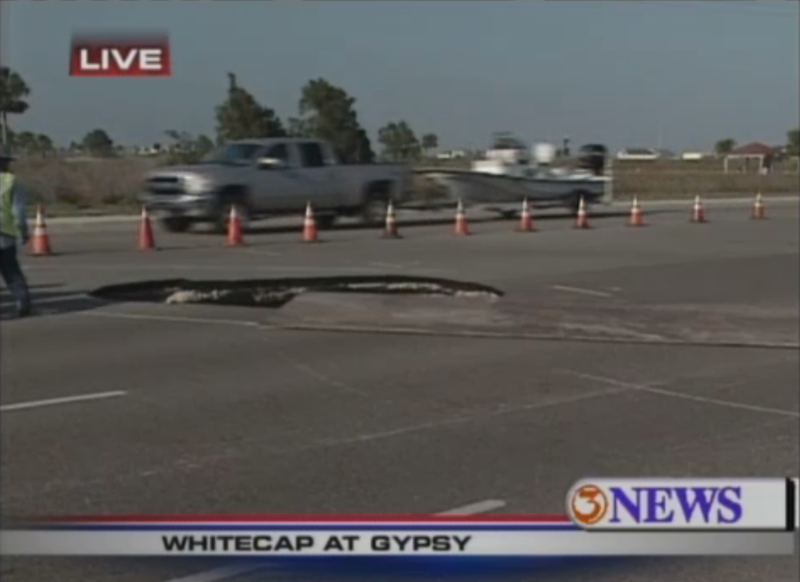 Drivers on Whitecap heading towards the wastewater plant should be fine. 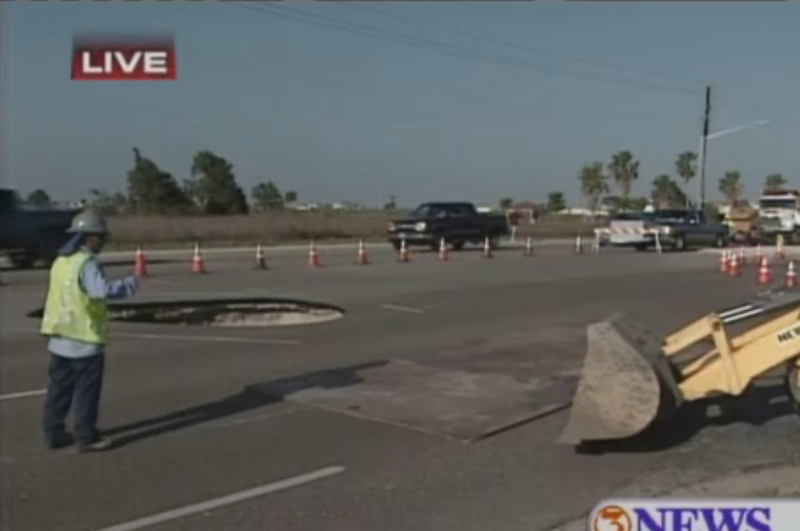 But if you are on Whitecap heading towards SPID or Park Rd. 22, you will be diverted around the hole at Dasmarinas. 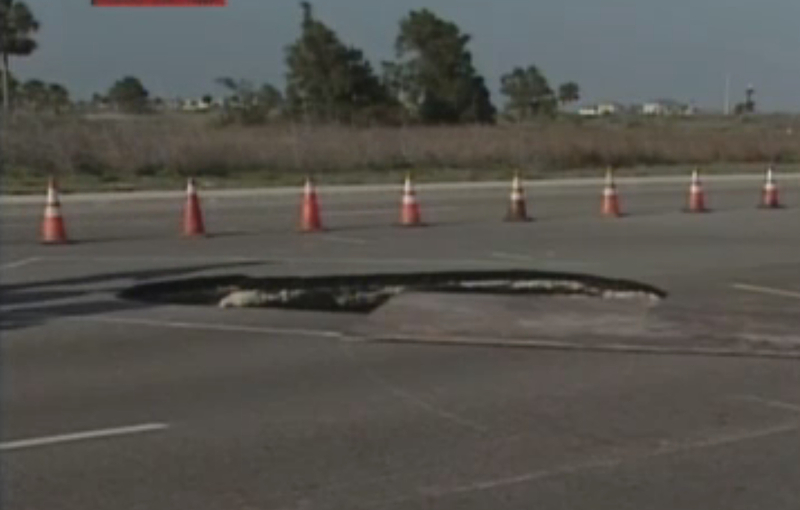 This entry was posted in Pictures and tagged Corpus Christi, sinkhole, Texas. Bookmark the permalink.